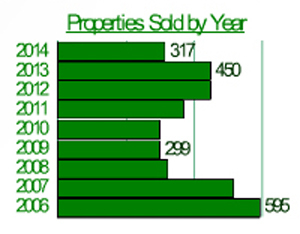 Once again, I have great news to share with you about the Breckenridge real estate market. The under contract activity continues to rise across Summit County. In fact, it has even outpaced last year at this time. Specifically, the activity is up 25 percent ahead of 2013’s numbers from around this time last year. Now that’s excellent growth! In addition, inventory has gone down and seems to be staying steadily on this track. Meanwhile, the average sold price around the county is enjoying an approximate 5 percent improvement. Based on the current numbers, if nothing else goes under contract for the rest of the year, sales in Summit County will nearly equal last year’s figures. This means that we are definitely ahead and we’ll end 2014 with more sales than we had in 2013. On top of that terrific calculation, it looks like what’s under contract now is a little higher average list price than what has closed up till now this year. Therefore, the average sold price should see some improvement as well. Due to all of these very positive factors, I am excited to see how sales play out for the next three months in the Breckenridge real estate market. From what I can tell, it looks like we’ll close 2014 on a very positive note! Any time you’re preparing to buy or sell a home, the latest reports are always an important resource. I tell my clients to check the market on a regular basis so they always know what’s happening in the real estate around them. Just remember that the Breckenridge real estate market can move quickly. That’s why you should be careful not to draw conclusions based on one market update. Every market has a rhythm. For this reason, you should make it a priority to get to know the patterns in your area. Don’t hesitate to contact me if you’d like to understand your market better. Also, if you’d like to view homes that are for sale in Summit County, I’m happy to put together some properties that might suit your needs. Feel free to begin by browsing the updated listings on my website. When you’re ready to narrow down your options we can schedule showings and start the process together. Or if you’re ready to put your own home on the market, I can help you in that process, too. Give me a call so that we can get started right away. Contact me at any time via email ([email protected]) or on my office line. I look forward to working with you!